Nourivit Plus promotes root formation! Nourivit Plus microorganisms (NPM) are a mixture of lactobacilli, yeast strains and phototropic bacteria. The individual strains of microorganisms have been isolated from their natural environment. They are cultivated from our own collection of strains. The cultivated microorganisms are combined according to the Nourivit Plus formula and then fermented. The fermentation of Nourivit Plus microorganisms is done in our proprietory specially designed bioreactors. Nourivit Plus is used in leaf treatment and soil treatment. For leaf treatment, Nourivit Plus is applied to the surface of the plants. In combination with Nourivit Calcium Carbonate, a natural environment is created that promotes the development of the plant and aids in the prevention of disease and pests. 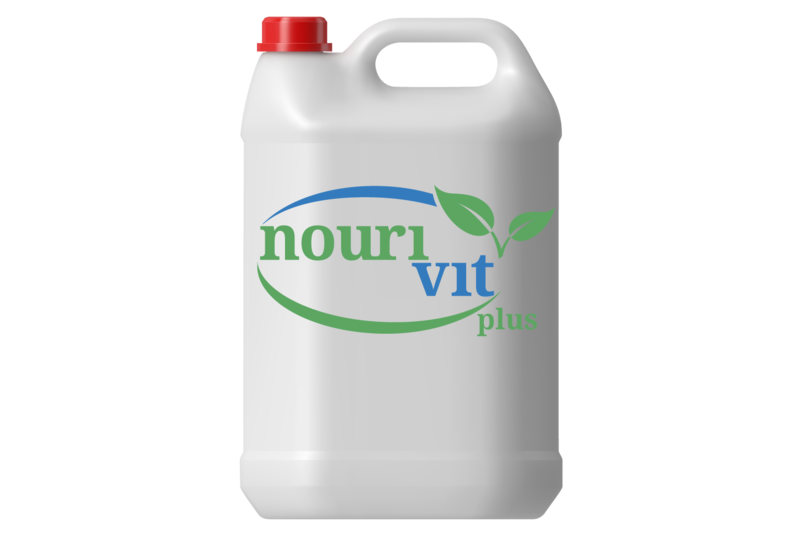 For soil treatment, Nourivit Plus microorganisms are mechanically injected into the soil. They process organic substances and convert these into plant nutrients. This leads to rapid humus formation. Dosage: 15 L Nourivit Plus (NPM) mixed with 50 L of water per 100 m2 barn area. Recommended application: Spray on floor, walls and ventilation shafts. Nourivit Plus is registered at the Austrian agency for health and food safety (AGES) as a plant aid. With this registration, Nourivit Plus is admitted in all Member States of the European Union (based on the Regulations (EC) no. 764/2008). Nourivit Plus is registered and listed at InfoXgen for usage in organic farming based on the Regulations (EC) no. 834/2007.